As the Cricket world cup is gearing up, masses in Pakistan are turning towards TV devices to get amused with the biggest cricketing gala of the year. These TV devices are available not only for desktop monitors but TV devices for Laptops are also doing good business these days. TV devices are small boxes which can act like Televisions. All you need is a compatible computer monitor to attach with these TV devices to watch regular cable TV transmission. A retailor from a computer market in Rawalpindi commented that sale of TV Devices increase by 400 percent during the world cup as compared to usual days. He agreed that prices of TV devices go high due to increased demand, however prices for TV devices remain with-in affordability, thanks to immense competition. Another retailor told us that mostly the buyers of TV devices are those shopkeepers who remain on shops during the day. He explained that a price of a TV device ranges from Rs. 1,000 to Rs. 1,300 while a compatible used monitor costs Rs. 2,000 to Rs. 2,800. So the complete TV set, with handsome built-in sound, cost around Rs. 3,000 to Rs. 4,000 which is quite affordable for a small business person. In Pakistan, Dany, a Chinese manufacturer is most famous brand for TV devices for monitors and laptops. Their devices come with built-in sound and complete functionality, exactly similar to Televisions, such as remote control, bright/contrast control and so on. and computer markets of the major cities. hi will anybodyhere having usb tv device upload the software provided in the cd to mediafire etc? I’ll be very thankfull. 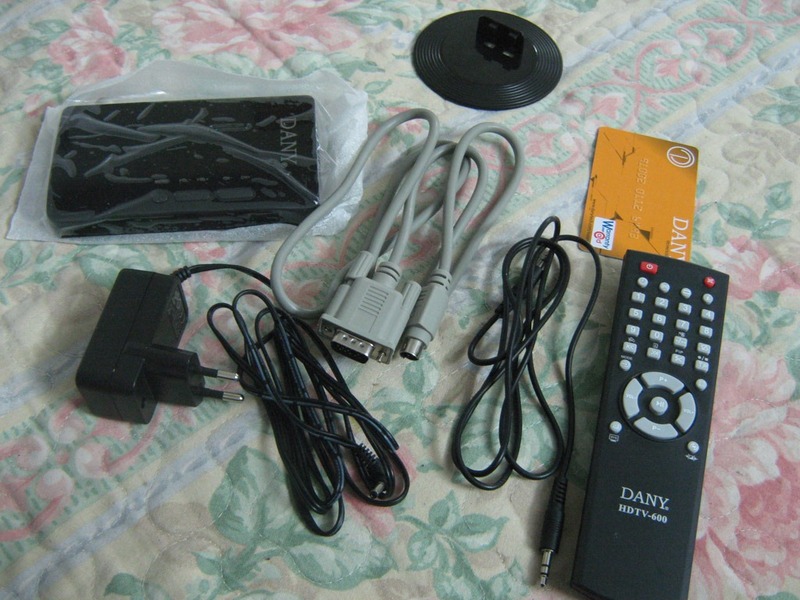 2 Days ago i got my dany tv device for 1900 RS./ Quetta It is really good. While which needs computer is not good. Yar i searched the whole site. Kahi na mila. TV Devices are getting popular but they offer no match to color and display quality of a REAL television. Computer monitors and LCDs cannot matche the display quality of a real television (which was built for this purpose in the first place). i have heard that we can also record while using dany tv device . is that true ?? this is all about tv in the coming month when more world cup matches will be played between top teams. I can claim that if the TV device and the monitor/LCD/TFT is of good quality it shall match the result and performance of a good TV. I am using SNAZIO internal TV card which should be fixed into the PCI slot of the motherboard. I can watch cable in good quality and can record as well. SNAZIO card is also used for copying movies from film to CD/DVD using VCR, TV card and DVD writer. The TV cards with ATI chip have best results i think. I can record using my internal TV (PCI slot) card but i am not sure about Dany. You can confirm that from seller.